Martin Pistorius sometime between 1990 and 1994, when he was unable to communicate. This 1987 photo is the last one to show the family before Martin fell ill. He is at the right. Martin at the day care center. 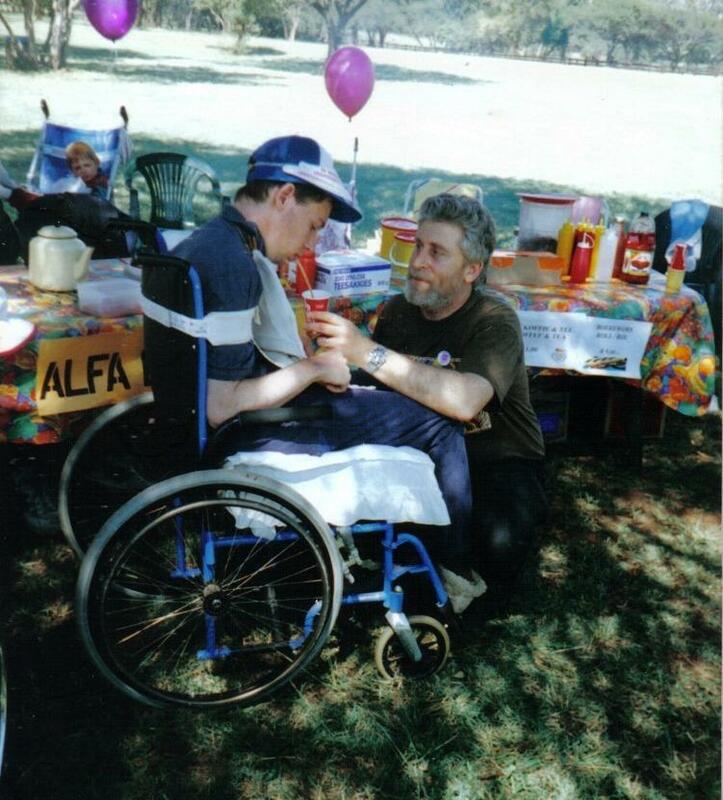 Martin and his father, Rodney, in the 1990s. Martin and his wife, Joanna. What would you do if you were locked in your body, your brain intact but with no way to communicate? How do you survive emotionally when you are invisible to everyone you know and love? That's the first question asked by NPR's new program on human behavior, Invisibilia. The first show tells the story of Martin Pistorius, who fell into a mysterious coma as a young boy. He had only one thing left as his mind began to function again — his own thoughts. Here's a glimpse into his story. 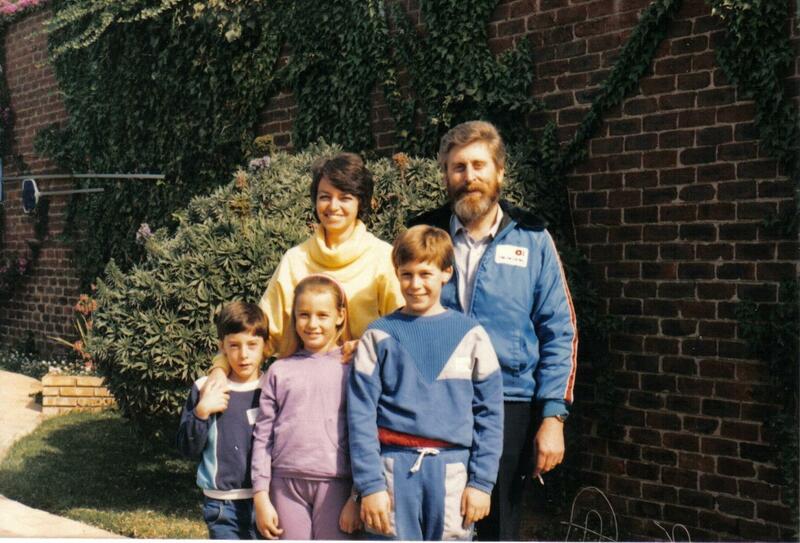 It was the late '80s, and young Martin Pistorius, growing up in South Africa, was mostly thinking about electronics. Resistors and transistors and you name it. But at age 12, his life took an unexpected turn. He came down with a strange illness. The doctors weren't sure what it was, but their best guess was cryptococcal meningitis. He got progressively worse. Eventually he lost his ability to move by himself, his ability to make eye contact, and then, finally, his ability to speak. His parents, Rodney and Joan Pistorius, were told that he was as good as not there, a vegetable. The hospital told them to take him home and keep him comfortable until he died. But he didn't die. "Martin just kept going, just kept going," his mother says. His father would get up at 5 o'clock in the morning, get him dressed, load him in the car, take him to the special care center where he'd leave him. "Eight hours later, I'd pick him up, bathe him, feed him, put him in bed, set my alarm for two hours so that I'd wake up to turn him so that he didn't get bedsores," Rodney says. That was their lives, for 12 years. Joan vividly remembers looking at Martin one day and saying: " 'I hope you die.' I know that's a horrible thing to say," she says now. "I just wanted some sort of relief." And she didn't think her son was there to hear it. "Yes, I was there, not from the very beginning, but about two years into my vegetative state, I began to wake up," says Martin, now age 39 and living in Harlow, England. He thinks he began to wake up when he was 14 or 15 years old. "I was aware of everything, just like any normal person," Martin says. But although he could see and understand everything, he couldn't move his body. "Everyone was so used to me not being there that they didn't notice when I began to be present again," he says. "The stark reality hit me that I was going to spend the rest of my life like that — totally alone." He was trapped, with only his thoughts for company. And they weren't particularly nice thoughts. "No one will ever show me tenderness. No one will ever love me." And of course there was no way to escape. He thought, "You are doomed." So he figured his only option was to leave his thoughts behind. That was his first strategy — disengaging his thoughts — and he says he got really good at it. "You don't really think about anything," Martin says. "You simply exist. It's a very dark place to find yourself because, in a sense, you are allowing yourself to vanish." But occasionally there were things that elicited thoughts he could not ignore. "I cannot even express to you how much I hated Barney," Martin says. Since all the world thought Martin was a vegetable, at the special care center where he spent his days he was often in front of the TV watching reruns of the children's cartoon hour after hour, day after day. Then one day, he decided he'd had enough. He wanted to gain some small measure of control over his day. So he figured out how to tell time by how the sun moved across a room. That was the start. Eventually Martin found a way to reframe even the ugliest thoughts that haunted him. Like when his mother said, "I hope you die." "The rest of the world felt so far away when she said those words," Martin says. But he began to wrestle with it. Why would a mother say that? "As time passed, I gradually learned to understand my mother's desperation. Every time she looked at me, she could see only a cruel parody of the once-healthy child she had loved so much. " Over time, Martin began re-engaging with his thoughts. And slowly, as his mind felt better, something else happened — his body began to get better, too. It involved inexplicable neurological developments and a painstaking battle to prove that he existed. To hear how Martin returned to life, listen to Invisibilia, NPR's newest program. It explores how invisible things shape our behavior and our lives. The program debuts this weekend on many public radio stations, and the podcast is available for download at NPR.org and on iTunes. 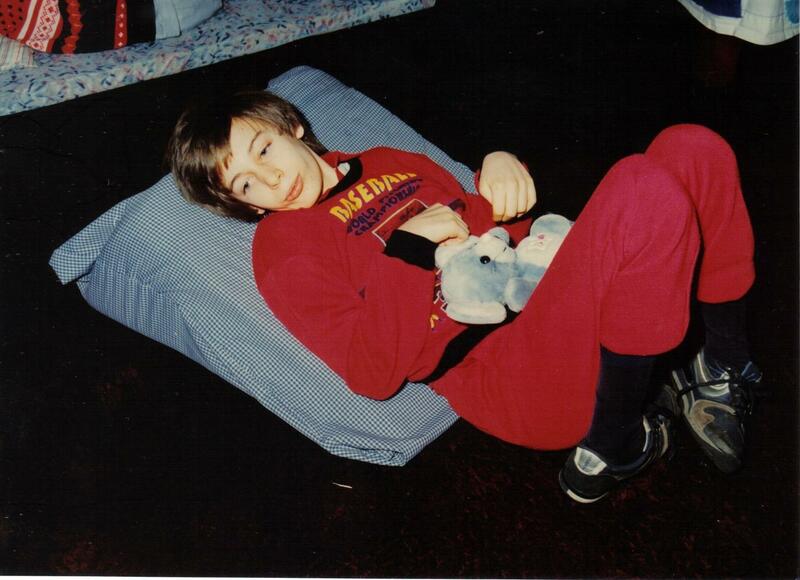 Martin Pistorius has published a memoir, Ghost Boy, of what it was like to be invisible for over a decade. In this part of the program we bring you the story of parents who thought their son was lost, and a son who couldn't tell them that he wasn't. It comes to us from NPR's newest program on human behavior. It's called Invisibilia. The show's co-host, Lulu Miller, tells us about a man in a coma whose mind eventually began to function again, but not his body, and because of that, for years the only relationship he could have was with his own thoughts. 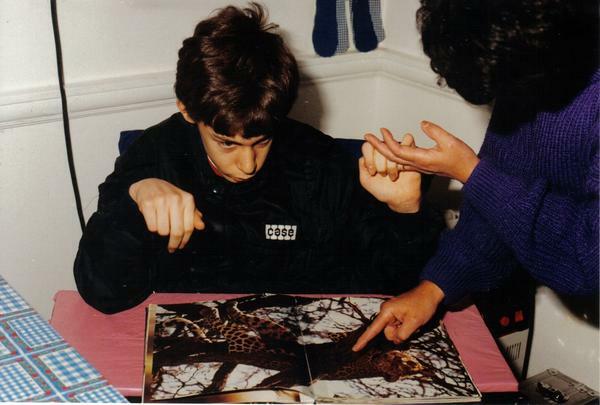 LULU MILLER, BYLINE: When Martin Pistorius was a little boy growing up in South Africa, he was mostly thinking about electronics. JOAN PISTORIUS: He used to insist that we buy him all sorts of electronic equipment. RODNEY PISTORIUS: Resistors and transistors and you name it. MILLER: These are his parents - Joan and Rodney Pistorius. MILLER: Martin's life took an unexpected turn. R. PISTORIUS: He had just turned 12. R. PISTORIUS: He progressively got worse. probably in the second year of his illness he was sleeping whenever we didn't wake him up. He was permanently lying down in the fetal position. MILLER: Eventually he lost his ability to move by himself, his ability to make eye contact, and, finally, his ability to speak. R. PISTORIUS: As good as not there. You know, he's a vegetable. He has zero intelligence. MILLER: They were told to take him home. R. PISTORIUS: Try and keep him comfortable until he died. MILLER: But one year passed, and two years passed. JOAN PISTORIUS: Martin just kept going, just kept going. MILLER: So Joan and Rodney and their two kids did their best to care for Martin's body. R. PISTORIUS: I'd get up at 5 o'clock in the morning, get him dressed, load him in the car, take him to the Special Care Center where I'd leave him. Eight hours later, I'd pick him up, bathe him, feed him, put him in bed, set my alarm for two hours so that I'd wake up to turn him so that he didn't get bedsores. MILLER: That was their lives. R. PISTORIUS: Load him in the car, drop him off, pick him up. MILLER: Three years turned to four. R. PISTORIUS: Bathe him, feed him, put him in bed. MILLER: Six, seven, eight years. JOAN PISTORIUS: This was so horrific. JOAN POSTORIUS: I hope you die. I know that's a horrible thing to say. I just wanted some sort of relief. MILLER: It was a thought she never would've shared out loud, but it had been 10 years and she didn't think her son was there to hear it. MARTIN PISTORIUS: Yes, I was there, not from the very beginning, but about two years into my vegetative state, I began to wake up. M. PISTORIUS: Yes, using the grid to speak. MILLER: The grid is just a computer keyboard that allows him to quickly choose words and then have the computer read them out loud. MILLER: Though he never regained his speech, he did regain enough body strength to operate a wheelchair by himself. Today, he almost looks like a former athlete. His upper body is really strong, he's got salt and pepper hair, bright blue eyes and a big smile. And Martin thinks he first woke up when he was about 14 or 15 years old, so about two years after he first fell ill.
M. PISTORIUS: I was aware of everything, just like any normal person. MILLER: But he couldn't move his body. M. PISTORIUS: Everyone was so used to me not being there that they didn't notice when I began to be present again. MILLER: Though he could see and understand everything, he couldn't find a way to let anybody know. M. PISTORIUS: The stark reality hit me that I was going to spend the rest of my life like that - totally alone. MILLER: He was trapped with only his thoughts for company. M. PISTORIUS: I would never be rescued. MILLER: And they weren't particularly nice thoughts. M. PISTORIUS: No one will ever show me tenderness. MILLER: He said they battered him, berated him. M. PISTORIUS: No one will ever love me. MILLER: And, of course, there was no way to escape. M. PISTORIUS: You are doomed. MILLER: Like, take a walk or talk to a friend. M. PISTORIUS: You will never get out. M. PISTORIUS: You are powerless. MILLER: Was to leave his thoughts behind. M. PISTORIUS: You will be alone forever. MILLER: Simply let them all just float by. MILLER: That was his first strategy, disengaging his thoughts, and he said he got really good at it. M. PISTORIUS: You don't really think about anything. You simply exist. M. PISTORIUS: No, I wouldn't say it is peaceful. It's a very dark place to find yourself because, in a sense, you are allowing yourself to vanish. UNIDENTIFIED ACTOR: (As Barney) You can always count of having a fun day when you spend it with the people you love. MILLER: That elicitated thoughts he could not ignore, like "Barney." UNIDENTIFIED ACTOR: (As Barney) (Singing) I love you. You love me. M. PISTORIUS: I cannot even express to you how much I hated "Barney." UNIDENTIFIED ACTOR: (As Barney) (Singing) We're a happy family. MILLER: See, since all the world thought that Martin was basically a vegetable, at the special care center where he spent his days he was often left in front of a TV watching "Barney" reruns, hour after hour. UNIDENTIFIED ACTOR: (As Barney) (Singing) I love you. UNIDENTIFIED CHILDREN: (Singing) John Jacob Jingleheimer Schmidt. M. PISTORIUS: I would watch how the sun moved across the room or how a shadow moved throughout the day. MILLER: He begins to match what he sees with little bits of information he's able to collect - what he hears on the television, a nurse mentioning the time. And within a few months he could read the shadows like a clock. M. PISTORIUS: Yes, I can still tell the time of day by the shadows. MILLER: It was his first semblance of control. Simply knowing where he was in the day gave him the sense of being able to climb through it. MILLER: So now when a dark thought came up, instead of letting it just float by he would take it on, try to find some new relationship to it. Like, one time, shortly after having the drool wiped from his chin by a nurse. M. PISTORIUS: You are pathetic. MILLER: He happened to notice that a song was playing on the radio - Whitney Houston's "The Greatest Love Of All." WHITNEY HOUSTON: (Singing) They can't take away my dignity. 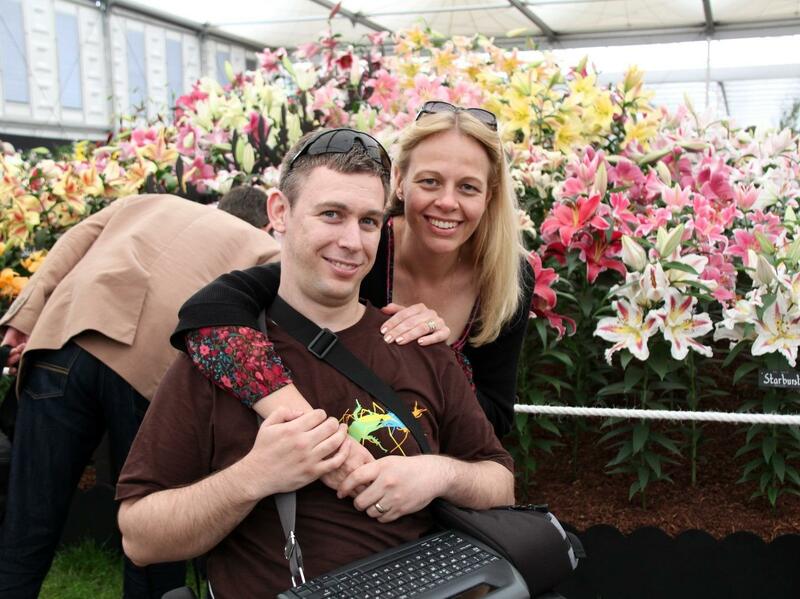 MARTIN PISTORIUS: I sat there and thought, you want to bet? MILLER: The point is eventually Martin found a way to reframe, reinterpret even the ugliest thoughts that haunted him. JOAN PISTORIUS: I hope you die. MILLER: He was conscious when his mom told him that. M. PISTORIUS: The rest of the world felt so far away when she said those words. MILLER: But he began to wrestle with it. Why would a mother say that? M. PISTORIUS: As time passed, I gradually learned to understand my mother's desperation. Every time she looked at me, she could see only a cruel parody of the once-healthy child she had loved so much. MILLER: And over time Martin began reengaging with his thoughts, and slowly, as his mind felt better, something else happened. His body began to get better. Now, why? This is a long story involving inexplicable neurological developments, a painstaking battle to prove his existence. MILLER: (Laughter) OK, wherever you are standing in your life, prepare to be lapped. At age 26, Martin passed a test where he identified different objects by pointing at them with his eyes. JOAN PISTORIUS: I then gave up my job. MILLER: Joan then worked with Martin for two years to teach him to operate a computer. JOAN PISTORIUS: When he gets the tools to communicate he forges ahead. MILLER: Then he gets a job at a local government office. M. PISTORIUS: I wanted to prove that I could do more than just speak words via a laptop. MILLER: Eventually, he scraps that job, goes to college. JOAN PISTORIUS: In computer science. MILLER: Starts a web company. JOAN PISTORIUS: It was absolutely flabbergasting. I couldn't understand it. JOAN PISTORIUS: He's learning to drive. He always wanted to drive. MILLER: He's learning to drive. JOAN PISTORIUS: Martin achieves everything he wants to do. MILLER: And Martin thinks it may have been his decision to lean into those dark thoughts that helped him to get the very best thing in his life. JOANNA PISTORIUS: Oh, he's just saying - he's just typing. MILLER: This is Martin's wife. JOANNA PISTORIUS: (Laughter) When Martin talks about me or types about me, he always starts smiling. MILLER: Joanna was a friend of Martin's sister. And the first night they met they talked for hours. M. PISTORIUS: She would speak, and I would type my response. MILLER: And Joanna said the thing that drew her to Martin was his humor about the human condition, his frankness. JOANNA PISTORIUS: If I ask him anything, he'll give me an honest answer. There was no pretend. Oh, OK, well, he's in a wheelchair and he doesn't speak, but I love this guy. He's amazing. Then it just so quickly turned into love (laughter). MILLER: And Martin, at long last, had no trouble expressing what he felt inside. M. PISTORIUS: My face would hurt from smiling so much. SIEGEL: Lulu Miller is the co-host of Invisibilia, along with Alix Spiegel. It's our newest program. It explores how invisible things shape our behavior and our lives. The program debuts this weekend on many public radio stations and the podcast is available for download on npr.org and on iTunes. The book Martin Pistorius published was a memoir of what it was like to be invisible for over a decade. It's called "Ghost Boy: My Escape From A Life Locked Inside My Own Body." Transcript provided by NPR, Copyright NPR.